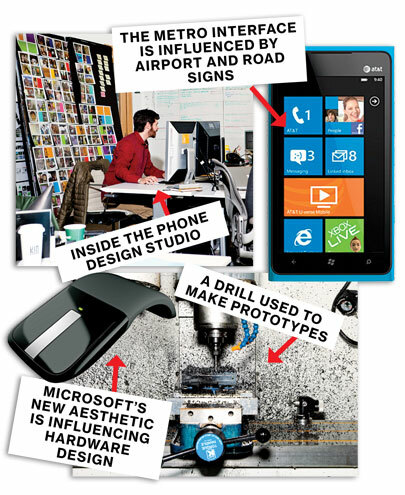 Interesting BusinessWeek article about the transformation of Microsoft design: To win, or even just to survive, in what has become a consumer-driven industry, products need to be eye candy that force shoppers to take a second look. Microsoft has roughly doubled its design ranks to 600 employees over the past five years and lured talents like Albert Shum, who developed technology-centered products at Nike (NKE) before becoming Windows Phone design chief in 2008. The company has also rethought how it builds things. Tags: consumer design, designers, microsoft design, modern design at microsoft. Bookmark the permalink.